Decreased Structural Integrity in Head-on Collisions. When your windshield is in good shape, it will help to transfer the force from the impact of a head-on collision to the vehicle's chassis. This helps to reduce the force that you and your passengers feel inside the cabin of the car. When your windshield is cracked, it is at a higher risk of cracking when your car collides with another vehicle or object. This then increases the risk of injury of you and your passengers. Increased Ejection Risk in Car Accidents. Most people know that you have a higher chance of surviving a serious car accident if you remain inside the car rather than if you are ejected from the vehicle. Although the first line of defense from ejection is wearing a seat belt, the windshield is next. When you are not wearing your seat belt, the windshield can protect you from being thrown from the vehicle. Unfortunately, when the windshield has a chip or crack in it, it can shatter upon impact, which offers no protection at all for those who were not wearing seat belts. Increased Risk of Injury in Roll-over Accidents. Your windshield acts a piece of your vehicle's structural support. When a vehicle flips over, an undamaged windshield can actually help keep the roof stabilized and secure, even with the additional pressure. However, when the windshield is damaged, it doesn't have as much structural integrity and can break out of the vehicle during a roll-over accident. When this happens, the roof is at risk of caving in, which increases the risk of serious injury for anyone inside the cabin of the vehicle. You may be curious as to what your windshield has to do with your airbags. The windshield helps to ensure that the airbag inflates toward the occupant inside the vehicle. 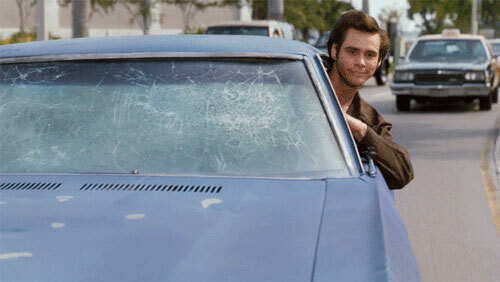 If your windshield is damaged and weak, it may not be strong enough to do this. The force of the deployment could result in the windshield breaking or giving way, which would cause the airbag to deploy out of the windshield rather than toward the occupant. As you can see, it is extremely unsafe to drive around with a cracked windshield. You never know how your vehicle is going to stand up to the force of an impact unless you have a structurally sound, uncracked windshield. The last thing you want to do is compromise your safety as well as your passengers safety, so when you notice a crack in your windshield, it's time to schedule an appointment for auto glass repair in St. Paul. Is a Cracked or Chipped Windshield Endangering Your Employees?